The partial solar eclipse on March 20th 2015 has been observed in Humain by the 6-m dish radio telescope connected to a e-Callisto receiver. The instrument has recorded the solar flux as the Moon passes in front of the Sun. 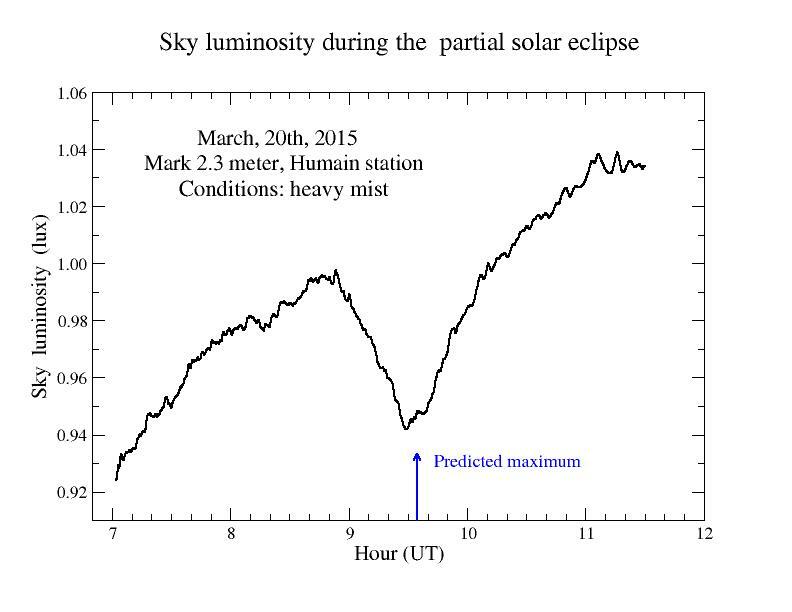 In the mean time, another instrument, measuring the sky luminosity in visible light, has also detected a drop of a few percent during that event. 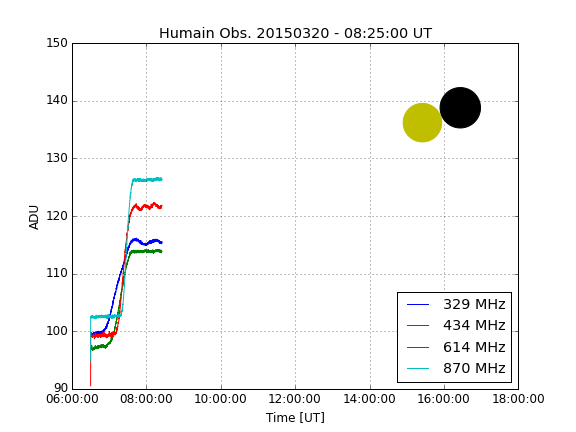 This instrument is used by astronomers from ROB to assess the opportunity to observe on certain days, at night. 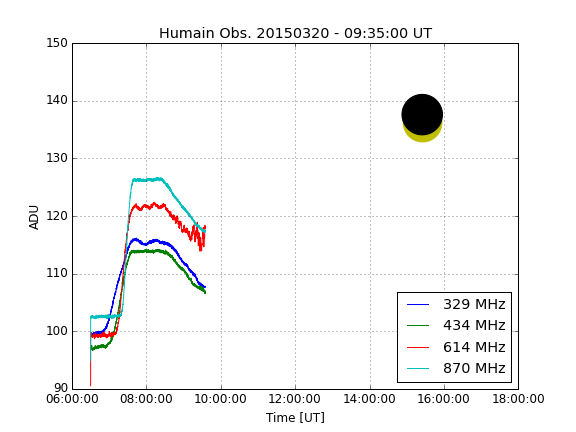 The following plot shows the sky luminosity measured with the lightmeter Mark 2.3 (IYA standard) during the partial eclipse phase of 2015 March, 20th, obtained from the station of Humain. (Credit: P. Lampens, P. Van Cauteren).